Meet Fr. Aidan McDermott, O.S.B. Fr. Aidan McDermott is excited. That was his first reaction when he was appointed pastor of St. Anselm Parish. “It’s a very joyful and faith-filled place,” he said of the Parish. Fr. Aidan grew up on the Hill in south St. Louis, attending Bishop DuBourg High School and St. Ambrose Parish. His family’s involvement in the Church laid a foundation for his future vocation. Fr. Aidan really started to feel God calling him to religious life while he was studying at Meramec College. He felt unsettled with his life as it was, he said, and he felt God nudging him toward the communal religious life. Fr. Aidan’s sister entered the Franciscan Sisters of the Martyr St. George in Alton, Illinois. Another member of that order introduced Fr. Aidan to Abbot Thomas Frerking, O.S.B. Fr. Aidan decided to visit St. Louis Abbey. Priesthood wasn’t always in Fr. Aidan’s plan. In fact, he didn’t start seriously considering it until well after he had made his solemn vows in 2004. But Abbot Thomas asked him to think and pray about it, so he did. The combination of prayer and unintentional encouragement from others led him to enter the seminary. While at Bl. John XIII National Seminary, he served in a range of ministries, including at a children’s hospital, in a prison, and as a deacon at a parish in Boston. Fr. Aidan was ordained a priest in 2015, and he started helping out with Masses at Most Holy Trinity Parish. About a year later, he became the rector of the Oratory of Sts. Gregory and Augustine, housed in St. Anselm Parish. His ministry work at Most Holy Trinity and the Oratory helped him learn how to be flexible and relate to people from different backgrounds and with diverse spiritualties. “I’ve really realized how much the priest and the faithful help each other in the faith. It’s a beautiful thing,” he said. Fr. Aidan is deeply devoted to the Mass, so he wants to make reverent, joyful Masses a priority for the Parish. 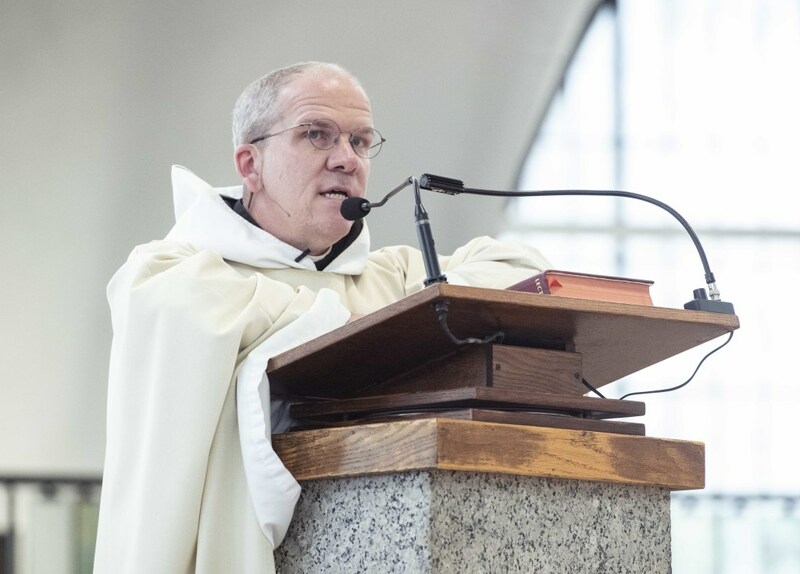 “The Mass has got to be first, and then everything flows out of that,” he said. 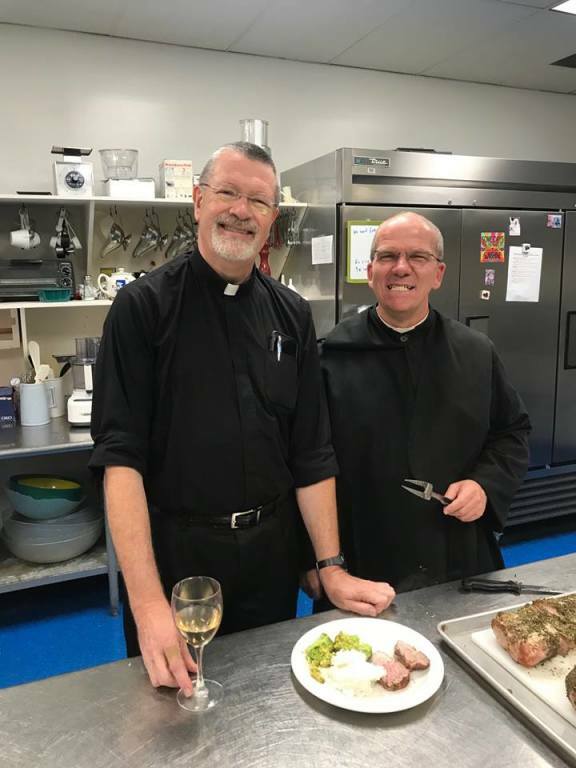 As pastor, he simply wants to be a good shepherd for the parishioners, he said, reaching out to those who have fallen away and encouraging those who are involved now. “[I want] to help the Parish in general to get closer to Jesus in the best way I can,” he explained.